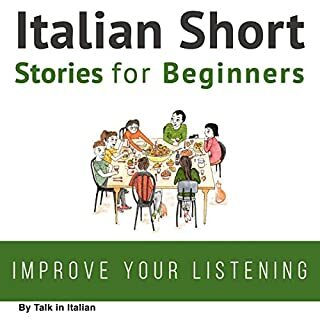 This is a great tool for people who already have some knowledge of Italian language as well as beginners who would like to sharpen their listening and broaden their vocabulary in Italian. I have a background in language learning so it was convenient and easy for me to use through Audible while on the way to work or on a break at lunch. There is a very helpful PDF to follow along with that includes vocabulary, and made it really easy to go over what I didn't understand and then practice again. I loved that I could listen to the stories because that way I knew the correct pronunciation and tone to use. I really enjoyed learning in this way and found it to be pretty fun!